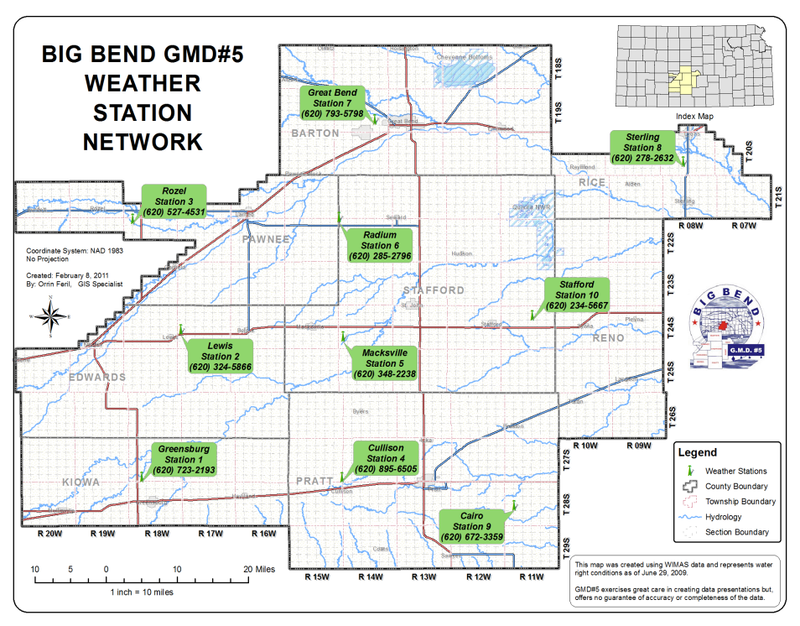 Big Bend GMD #5 maintains ten weather stations throughout the District. These stations can be called from any phone to receive up-to-the-minute weather data for each station. 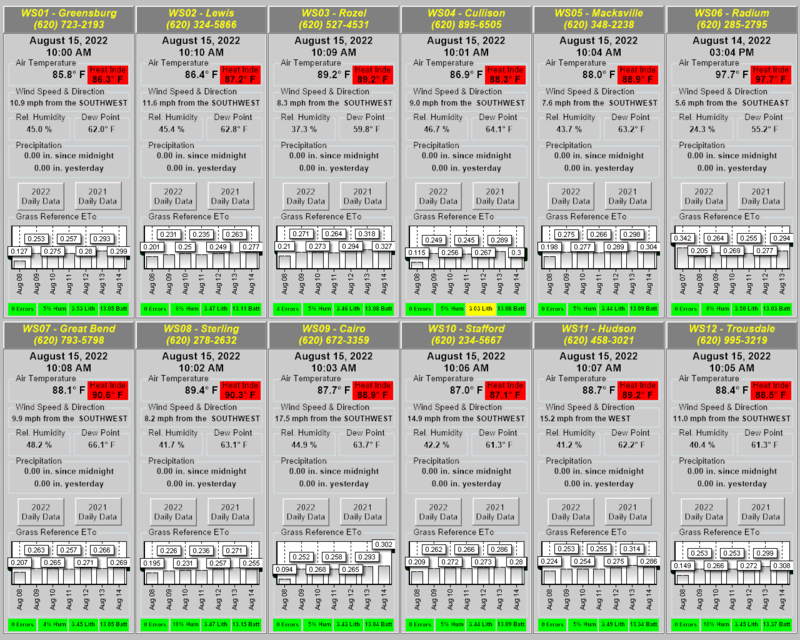 Older data for each station can be viewed by clicking on the "Daily Data" buttons on the page below. Daily data will be updated every Monday, Wednesday & Friday during growing season and Friday's during off season. Below are the historical extreme readings for each year of record for each weather station in the network. Click each year to download the respective yearly extreme data. Below are the historical monthly precipitation records for each weather station in the network. Click each year to download the respective monthly precipitation records. Below are the Grass Reference Evapotranspiration vs Precipitation graphs for each year of record for each weather station in the network. Click each year to download the respective ET vs Rain graph. Below are the locations of the ten weather stations owned and maintained by the District. Click the map to download a printable copy of this map. Copyright © 2018 Big Bend Groundwater Management District 5 - All Rights Reserved.